Quite some time ago, Michael Polanyi argued that people know more than they can tell. Some knowledge cannot be articulated as it is embedded within the minds of individuals. This so-called tacit knowledge has been acquired through practice and is also expanded by using it. Since tacit knowledge cannot be codified it is much harder to transfer. So, you “know” how to do something, but you cannot “tell” how you do it. It cannot be taught, it can only be caught. Side note: much of management and leadership falls in this category. Although explicit knowledge is very important, most would recognise that it is often the tacit knowledge that makes the difference. Much of the essence of Resource-based strategy approach is based on the fact that tacit resources have the needed “competitive advantage capacity” because of the potential of being valuable, rare, difficult to imitate and without substitutes. In a recent empirical study of Major League Baseball teams professors Shamsie and Mannor dive deeper into the concept of tacit knowledge. 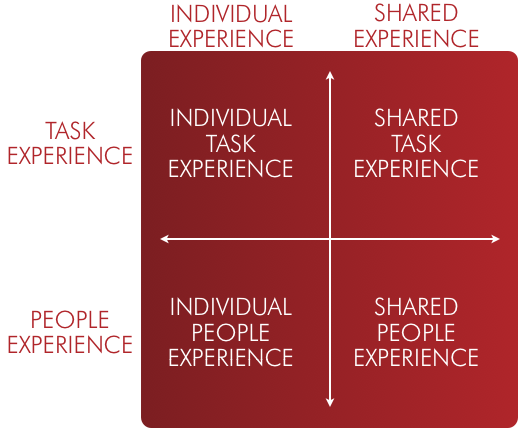 First, they argue that tacit knowledge can be based on individual experience or on shared team experience. And, second, they establish tacit knowledge can be based on task experience or on people experience (the article refers to this as productive vs. administrative). How to operationalise these 4 types of tacit knowledge is quite a challenge. Shamsie and Mannor do this in the context of baseball but this provides insights for business as well. Individual task experience was measured by people’s recent experience (last 3 years) and specific high level experience (play-offs). The overall performance of a team was positively related to the number of people (players) with higher individual task experience. Individual people experience was measured as number of years of management experience (years of coaching) and specific high level experience (play-offs experience). The overall performance of a team was positively related to managers (coaches) with higher individual people experience. Shared task experience was measured by people with 3-year tenure and the number of different positions (line up changes). The overall performance of a team was positively related to the time people had been able to work together (to share task experience). Shared people experience was measured by the managers’ tenure and the manager changes. The overall performance of a team was positively related with the opportunities the manager has had to work with team members of a particular team. Since all four hypotheses on types of tacit knowledge were confirmed we can conclude the above-mentioned types of experience are important for the performance of a team. The essence of tacit knowledge is that it can only be learned on the job. As such, there are no real shortcuts apart from smart team formation based on the experiences mentioned and plain hard/smart work. 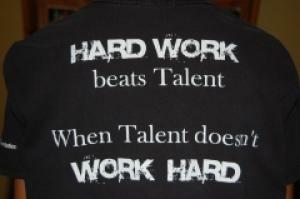 As they say: “Hard work beats talent, when talent does’t work hard”. Next Next post: Are you a fence-sitter, a resister, or an endorser?